The initiative houses the Journal of the Motherhood Initiative (formerly The Journal of the Association for Research on Mothering), Mother Outlaws, and is partnered with Demeter Press. The founder and director of the Motherhood Initiative for Research and Community Involvement is Andrea O'Reilly, aoreilly@yorku.ca. 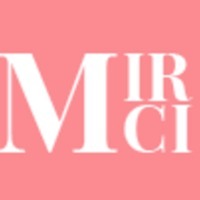 “Motherhood Initiative for Research and Community Involvement (MIRCI),” Artist Parent Index , accessed April 22, 2019, http://www.artistparentindex.com/items/show/122.